Combine Lord of the Flies and Mean Girls. 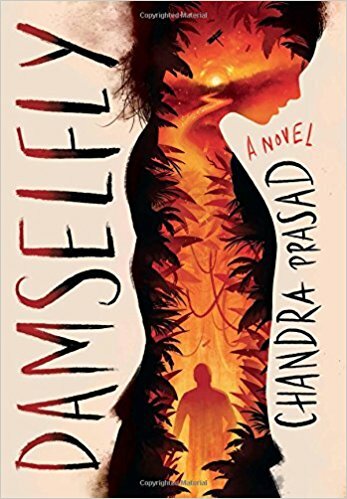 Stir in a pinch of the Stanford Prison Experiment and you have Damselfly, a new young adult novel. A teenage fencing team from an expensive prep school is stranded on a deserted island after the crash of their private aircraft. Soon their society is splitting into factions based on skin color and trying to find a mysterious island inhabitant. This is a contemporary update of the Lord of the Flies. It includes some interesting backstories of some of the participants’ life before in the prep school. While it is a quick read, I think it adheres a little too closely to the original. It is only recommended to readers not familiar with the original. 3 stars. Thanks to the publisher, Scholastic Press, and Goodreads for holding the giveaway where I won an advanced copy of this book.